A fully integrated fiber based in building Wireless Solution from Seamless Cellular enables the deployment of Cellular/PCS (3G/4G), WLAN, Wireless Telemetry, emergency response, and other frequencies, all utilizing the same DAS therefore significantly cutting cost. Many leading healthcare organizations are embracing wireless technology to address their clinical, business, and regulatory challenges. Improve cell phone reception in your facility or building with a cell phone repeater system. The benefits of implementing in building wireless technology include staff accessibility anywhere anytime, expedited response time in emergency situations, and seamless mobility with immediate communication and information access throughout the entire healthcare enterprise. 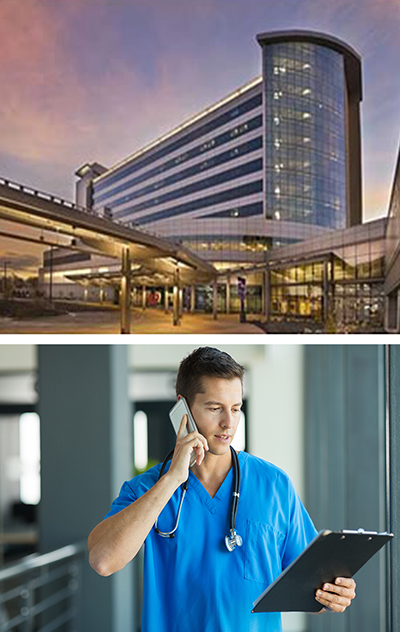 In the hospital environment, where patients and medical staff are constantly moving, Seamless Cellular provides wireless technology making communication much easier to manage.